Welcome to the Communication subject guide. 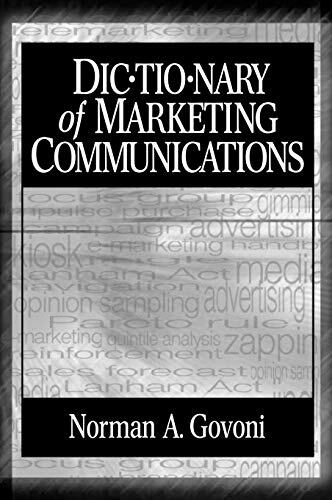 This guide is designed to get you started on your research by providing links to the basic databases and websites used in all the different field of communication. If you have any questions, please feel free to contact me using the info in the box to your right. Are you looking for journal articles? Use Communication and Mass Media Complete. If you're looking for books or DVDs, use uSearch. If these don't meet your needs, click on the tab above which best describes your area of research to see additional resources. 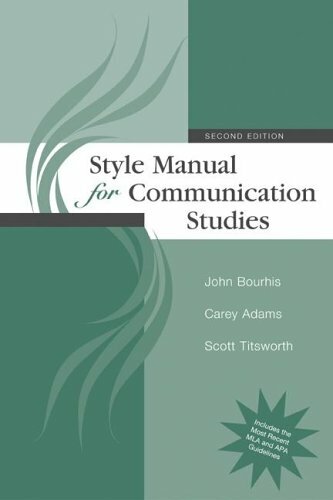 Style manual for communication studies - John Bourhis, Carey Adams, Scott Titsworth. James Watson and Anne Hill. edited by Raymond D. Kent. The electronic journal article databases listed on this page are available through the University of Miami Libraries. I suggest starting with the first one if you are not sure where to begin. 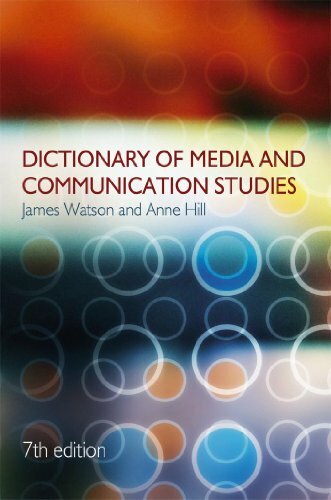 ComAbstracts indexes and abstracts journal articles in communication studies and related areas (rhetoric, journalism, mass communication, new media technologies, and speech). ComIndex indexes the contents of major communication journals. Communication Abstracts is a comprehensive source of information for communication-related articles, reports, papers, and books covering not only communication literature, but also other disciplines that are relevant to communication researchers. The Sage Full Text Collection: Communication Studies provides full text access to 16 peer-reviewed journals with up to 20 years in backfiles (depending on journal title). This database provides statistics and market data on the media industry, including advertising, books and publishing, media usage, music, radio, television, film, video games, technology, telecommunications, and the Internet. It also covers some media companies and includes a series of media infographics. SNL Kagan is the leading provider of electronic media industry data and covers economic and financial data about U.S. radio stations, U.S. television stations and networks, U.S. multichannel video operators, global multichannel video operators, wireless and wireline operators, internet media, motion picture and television programming, new media, including streaming and games, and advertising. The add-on MediaCensus offers a unique query tool to get data by market and by provider. The Committee to Protect Journalists is an independent, nonprofit organization founded in 1981. This organization promotes press freedom worldwide by defending the rights of journalists to report the news without fear of reprisal. News Abstracts indexes and abstracts significant items in more than 50 national and regional newspapers, including the New York Times, USA Today, the Boston Globe, the San Francisco Chronicle, and the Wall Street Journal. AFI Catalog is a national filmography documenting the history of American cinema. Cataloging currently covers the years 1893-1974 comprehensively, with additional records covering selected major films from 1975 onwards. The AP Photo Archive contains almost a half million of the Associated Press's current and historical images covering the last 150 years. Watch your favorite videos right from your browser, anytime, with select free content. Includes full episodes of some TV shows both current and classic, full-length movies, web originals, and clips of just about everything. An extensive database of movies and television with plot summaries and detailed lists of the people involved. Readers Guide indexes articles from 240 of the most popular general-interest and news magazines published in the United States and Canada. Selective full-text coverage begins in January 1994 for most titles. Journals include: Architectural Digests, People Weekly, National Geographic, Psychology Today, Ebony, and Fortune. Readers' Guide Retrospective indexes articles in over 250 leading popular magazines published between 1963 to 1982. 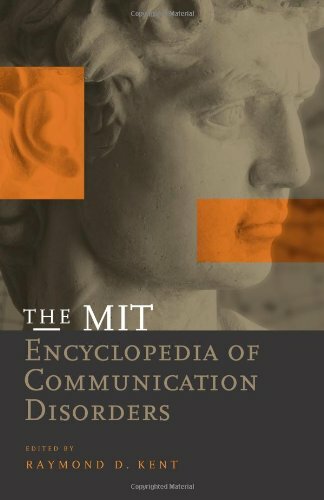 Includes over 2.5 million references. Entries link to page images from original Readers Guide volumes, allowing users access to see and see also references and the complete hierarchy of subject headings and subheadings. Senior projects such as scripts are available online through the Libraries' Scholarly Repository. You may view the list here. Research and reference tool on the American voter, major and minor political parties, campaigns and elections, and historical and modern races for Congress, the presidency, and governorships.